The Nintendo DS was home to many great visual novel style experiences that featured a fun collection of puzzles and mini-games, all nicely integrated with the games’ overall premise and plot. 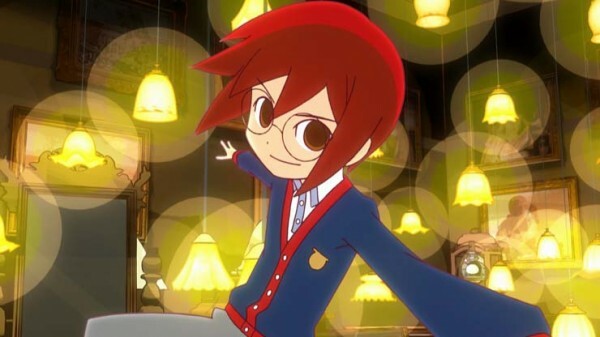 Some good examples include 999, Professor Layton, Hotel Dusk, and Pheonix Wright. It looks like the Nintendo 3DS will serve home to these types of games, and the added graphical juice of the handheld will certainly boost the visuals and presentation of these unique adventure experiences. Rhythm King comes straight from Sega and is now available in PAL territories with the North American version delayed till July 2012. The game is an adventure title with heavy puzzle and rhythm gameplay elements, all wrapped in a nice package that may easily be one of the best titles for the Nintendo 3DS right now. 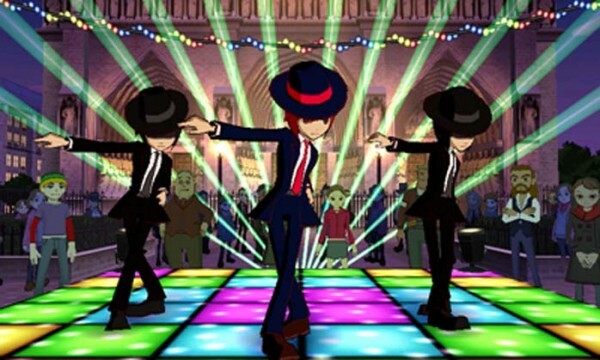 Rhythm Thief takes place in modern day Paris (France) and it tells the story of a young man named Raphael, a talented performance thief who, under his alter-ego ‘Phantom R’, uses his rhythmic dance moves and talents to rob famous historical artifacts from museums and galleries in Paris, only to return them the very next day. His partner in crime is his loyal faithful dog, Fondue, and their relationship is quite similar to that between Tintin and his canine sidekick, Snowy. Raphael’s only known family member is his estranged and missing father who is also a talented thief. He follows his father’s footsteps in hopes of someday finding him. Three years before the events of the game, the casket belonging to the famous conqueror, Napoleon Bonaparte, was stolen. Early on in the game we get introduced to this premise revolving around the grand return of Napoleon himself, and a scheme to restore his tyrannous rule once more. Raphael’s life of thievery lands him in the middle of this elaborate scheme and conspiracy. The story is told through animated stills and mostly voiced dialogue, as well as plenty of animated cut scenes that really help create that magical and epic ambience. It’s a surprisingly detailed plot filled with plenty of twists and turns as it starts out innocently enough but has some more serious and dark undertones later on. It’s a very classic good vs. evil sort of setting where Raphael serves as the anti-hero of sorts because even with greater evil at work, he still remains a wanted thief who is constantly butting heads with the local police. It’s a pretty grand adventure and along the way you’ll meet numerous colourful and charming characters. Raphael makes several new friends and rivals, but the most memorable one is Marie, who serves as his love interest and also plays a big part in the story. There’s plenty of interesting dynamic between the characters and there is a lot of focus on their relationships and backstories. It’s a very uplifting and magical story, one that is full of music, songs, the triumph of good, funny and quirky moments, and innocent portrayal of love and romance akin to that of a fairy tale. 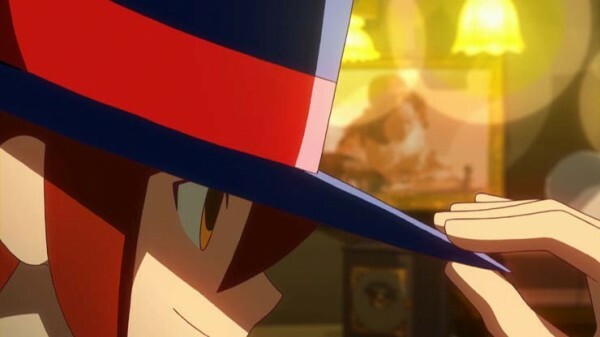 In a way Rhythm Thief is a lot like a Disney animated movie as it has the same charm and magic to it, immersing you into its beautiful and cheerful world with a story that is filled with plenty of moments that will leave a smile on your face. When the story is all wrapped up and done, it will leave a lasting and positive impression. Rhythm Thief’s premise and portrayal is one of those truly magical and compelling experiences that really allows you to escape reality and just feel really happy. 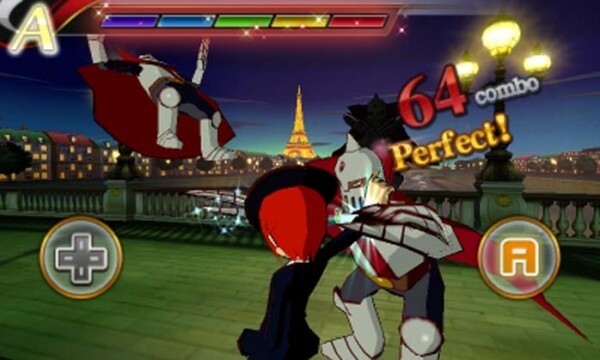 Rhythm Thief is a beautiful looking game that sports a gorgeous and colourful art direction with some really simple yet likeable character designs, and a refreshing portrayal of modern day France. It’s all very bright and uplifting, complementing the general demeanor of the game. The character art is nice and clean, and much of the story sequences use nicely drawn animated stills. However, as you interact with the various backgrounds during the game you’ll find that they’re not as visually appealing as other aspects of the game. The backgrounds are a bit uninspired and bland but they still do the job well enough. When you jump into the rhythm games you’re treated to some nice and crisp 3D visuals that have a lot of character, the 3D character models look as good and appealing as their hand-drawn counterparts. It animates nicely with plenty of sparking effects, dynamic lighting, and colourful detail. These are some solid 3D visuals, not the best you’ll see on the 3DS but they’re still pretty eye candy because of the art style. Perhaps the most remarkable aspect of the visuals is the animated cut scenes, they’re simply amazing to look at and have the same quality as a big budget anime feature film. Thankfully the game has a lot of these sequences and they do a great job in adding emotion, flair, and drama to the story. 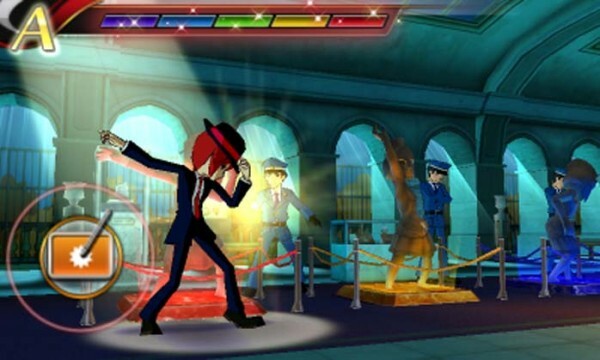 With a name like ‘Rhythm’ Thief it’s pretty obvious that music plays a vital role in the game. The music of the game is a mix of contrasting styles, but they all fit nicely in the given context. The music is generally upbeat and groovy, with plenty of dance style numbers akin to Elite Beat Angels and some dramatic tunes that seem to come straight out of a 60s spy action movie. Some of the best moments of the game are when you get to hear some epic orchestrated French style of music, in particular moments where you get to hear Marie play her violin with sheer elegance. A lot of the rhythm games in Rhythm Thief are music driven, and the better you perform the better the song/music will sound, which is pretty cool. Some of these games will require you to bust a move as the Phantom R and some will require you to play the violin as Maria, they’re both equally entertaining and is great to have that kind of involvement with the music. The game is fully dubbed in English with plenty of somewhat successful attempts at pulling off European accents. It’s a good dub for the most part but there are some cringe inducing moments, in particular the way Marie has been dubbed, she just fails to express the appropriate amount of emotion sometimes. 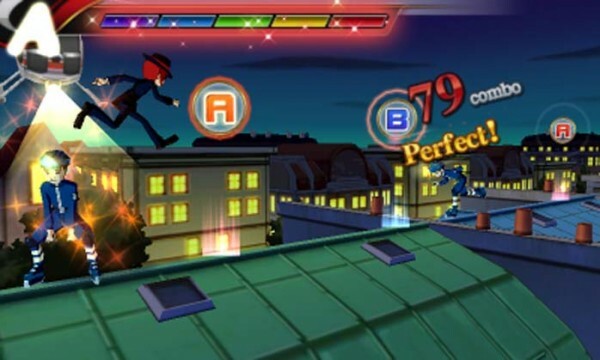 Rhythm Thief features over 50 rhythm based mini-games as well as a several puzzle games, all taking place in an adventure game structure. In the main quest you will traverse the in-game world by moving between nodes, with each node offering a backdrop for you to interact with. It’s a fairly simple structure that serves as a nice medium for exploration purposes. While the game will guide you as to where the next story events are, there is still a fair bit of freedom involved as there plenty of optional rhythm games and quests for you to take part in. In terms of the rhythm games, there is a ton of variety but there is some degree of consistency in style and theme. The requirements of these games vary considerably as you’ll be using the touch pad to tap and slide according to the rhythm, push buttons for some platforming and shooting themed sections, and even use the 3DS’s gyro sensor controls. Each rhythm games offer something a little different, keeping the gameplay consistently fresh. The scenarios can involve things like playing the violin, stealth missions, dancing, sword fights, fist fights, soccer battles, and even boss battles. Your main goal in each of these games is to time your actions perfectly with the rhythm and flow in order to fill up your rank/grade bar, trying your best to finish off with an A grade. It’s not as easy as it sounds and you will find yourself replaying several of these over and over. There are puzzle games too but these aren’t nearly as compelling as the rhythm games and are in fact too easy and lenient, with most of them holding your hand. There are also these sound puzzles where you have to search for a certain type of sound in order to be able to progress, and again the game makes it very obvious where you need to collect the sound from. There are actually plenty of things to collect in Rhythm Thief, as mentioned earlier you will be collecting ‘sounds’ from the game’s various environments and use these to progress through the main story, but their other purpose is to complete a side quest where you need to collect sounds for this inventor to help him complete his ‘Master Instrument’. Also in each environment, you will need to search each backdrop by tapping on it to search for hidden medals, musical tracks that form part of the game’s soundtrack, and phantom musical notes to help complete a secret sheet music. The medals serve as currency, allowing you to purchase extra content as well as items to assist you in the rhythm games. The main quest itself is actually pretty substantial as it will take you roughly ten hours to power through it, but it doesn’t end there as the game gives you plenty incentive to keep going. There is a ton of un-lockable content such as music tracks and videos, and a Marathon mode that will please the high score enthusiasts. Completing all the side quests and getting the top rank in all rhythm games in story mode will unlock even more chapters that shed light on some of the game’s characters. This game is really jam packed with content on top of the already satisfying main quest. 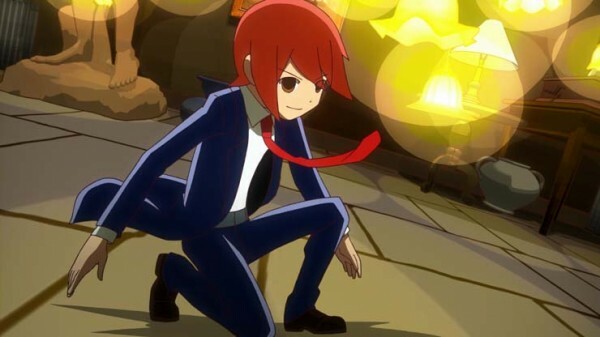 Rhythm Thief and the Emperor’s Treasure is perhaps among best releases on the Nintendo 3DS right now. It is a beautifully produced adventure game with a great story and a massive and entertaining collection of rhythm games. The main quest itself is long and highly satisfying, with a ton of extras in the form of un-lockable content, missions, modes, and chapters, all thrown in to further add to the already impressive lifespan and replay value of the title. 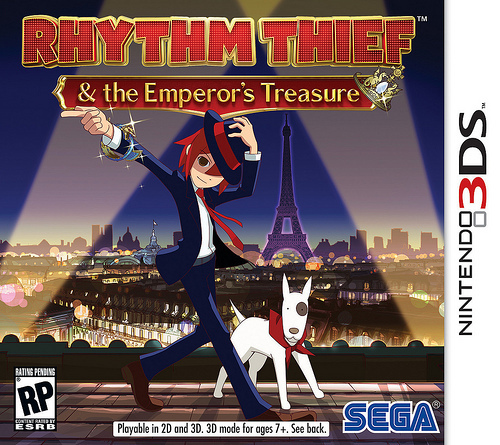 If you own a 3DS then Rhythm Thief and the Emperor’s Treasure needs to be a part of your collection.